Baptist Seminary of Kentucky offers the Master of Divinity degree, accredited by the Association of Theological Schools (ATS). This degree program is 90 hours with 72 required hours and 18 elective hours. Within the Master of Divinity, students also have the option to concentrate in Pastoral Care and Counseling. This concentration provides training in pastoral care and counseling within the context of Master of Divinity studies. This emphasis will enable students to fulfill significant requirements toward licensure or certification. 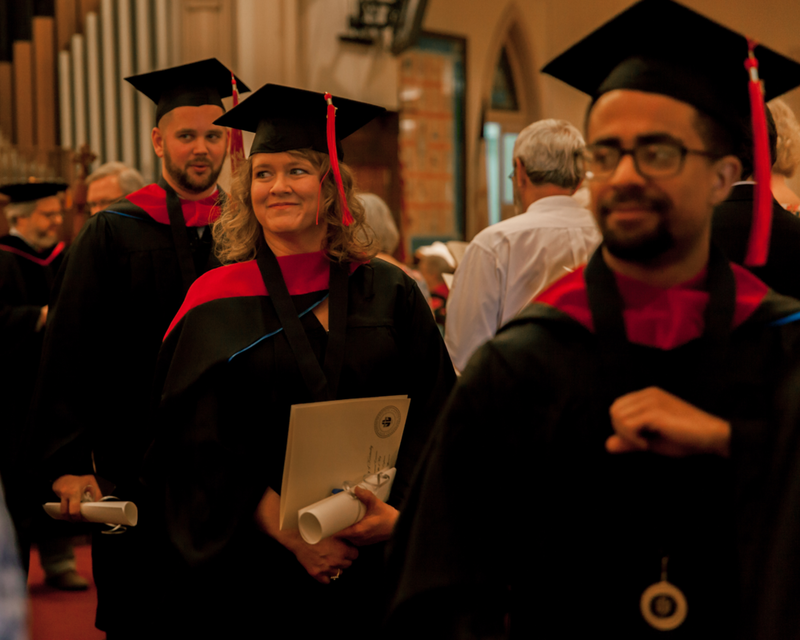 BSK offers their full Master of Divinity degree program at two different sites in Georgetown, KY and Louisville, KY. BSK’s Georgetown, KY site is on the campus of Georgetown College, and their Louisville site is on the campus of Simmons College of Kentucky (HBCU). Students have the opportunity to complete their degree in one or both of these locations. Classes are offered in both locations using state-of-the art conference room technology to connect classrooms. Women in Ministry: God calls women to ministry, including the pastoral ministry. BSK approaches curriculum and formation in ways that assume and support this fact. We are intentional about women in leadership, from textbook authors, to chapel speakers and event leaders. Racial Justice: BSK is committed to working for racial justice. This spiritual issue affects not only what is taught, but how and where BSK serves. Our presence on the campus of Simmons College of Kentucky is a central part of our work toward racial justice. Pastoral Care: BSK has designed a program that provides training in pastoral care and counseling within the context of Master of Divinity studies. This emphasis enables students to take strong steps toward licensure or certification. Rural Ministry: In collaboration with the Berry Center, BSK will begin offering an M.Div. with a concentration in Rural Ministry in Fall of 2019. Students in this track will benefit from unique elective courses around issues of rural ministry, as well as opportunities to grow through interactions with the Berry Center. If you’re interested in applying to Baptist Seminary of Kentucky, you can apply online at bsk.edu/apply or contact their Director of Admissions, Abby Sizemore, at abby.sizemore@bsk.edu or 502.863.8301. To learn more about Baptist Seminary of Kentucky, visit bsk.edu.